Our city consistently is showered upon with positive rankings and recognition as a place where people are happy, productive and friendly. A place where people thrive, regardless of their age or occupation. 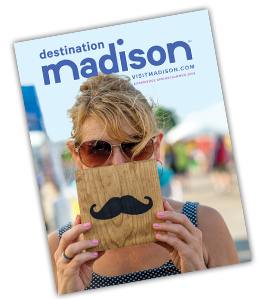 Over time, both the Greater Madison Convention & Visitors Bureau and the Madison Area Sports Commission have received rave reviews from clients and event attendees about their experiences in Madison. And often, these clients express or act upon plans to return to Madison to recreate the magic or design fresh, new experiences. In the past few weeks, we have received amazing testimonials from groups such as the North American Environmental Education Association and National Farm to Cafeteria Conference and, have been chosen by IRONMAN to launch one of their coveted 70.3 events and by CrossFit to be the site of their national championships for three years beginning in 2017! These positive accolades are a reflection of the hard work and Going > Beyond attitude of our teams. But, they are also a reflection of the amazing competence, grace, dedication and professionalism of the thousands of workers in our visitor economy sector. The people in our industry who keep hotels sparkling clean, welcome visitors to their attractions, greet guests at restaurants and prepare meals, beverages and more, are our heroes. They are the glue that keeps our visitor industry humming and the reason convention and event attendees leave our city and region kicking and screaming and wishing they could linger. Just. One. More. Day. To celebrate these great people, the GMCVB is currently seeking nominations for our Spirit of Hospitality awards, which will be presented during National Travel and Tourism Week in May. If you know of someone you have encountered or want to recognize that works in our industry…. sous chef, sales clerk, housekeeper, docent, sales professional, event services pro, attractions manager or other, please submit a nomination so we can add the person to our list of hospitality heroes. People in the services industry are a special breed. Help us honor those that work so hard to make our visitors’ experiences amazing. The Blue Moon Bar & Grill has been a longstanding partner of the Greater Madison Convention & Visitors Bureau—and an enduring entity when it comes to neighborhood hot spots. So what’s their recipe for success? It may be more than the secret behind their beloved Blue Moon burger. Read on to discover why it’s known as a destination for visitors and locals alike. The Name Game: The bar was built in 1937, but over the years has been known under a variety of names, from Arians Bar to Merk’s to the Trophy Tap before becoming the Blue Moon. Owner Larry Brown and his brother Tom chose “Blue Moon” because of the glass mirror that features a blue crescent moon and has been up since the bar’s inception. Locals Love: The Blue Moon Burger. This half-pound burger is covered with blue cheese and raw onions, and is made fresh with meat from locally-owned and renowned Knoche’s Meat Market. Oh, and the jukebox rocks, too. 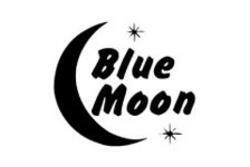 Little Known Fact: Most of the staff has been with the Blue Moon for more than 25 years and Chef Doug since day two. Partner Praise: Larry grew up living in an apartment above Smokey’s Club and his family has been in the restaurant business for their entire lives. Early on, his mother instilled the value of hard work and the importance of partnership. She was active with the GMCVB and set the expectation that others in the restaurant industry should be involved. So Larry and his brother Tom have continued that tradition as part of their thriving business. 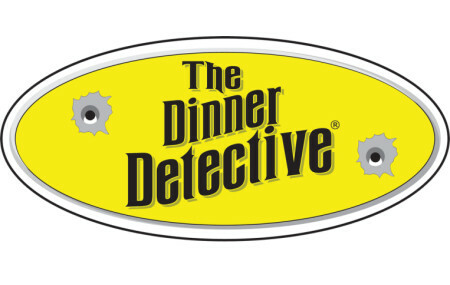 Enjoy an interactive comedic murder mystery show while feasting on a delicious four-course meal. Everyone&apos;s a suspect, and the killer might be at your table. We&apos;re dying to meet you! 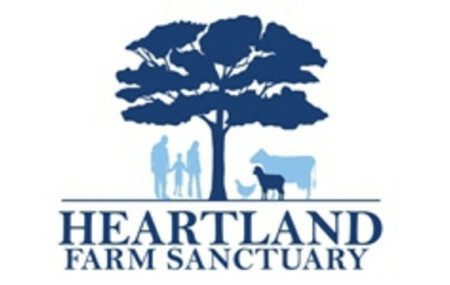 Nonprofit dedicated to helping homeless farm animals in Wisconsin and building connections between animals and vulnerable youth. We bring youth and farm animals together in a safe environment to grow, heal and have fun. 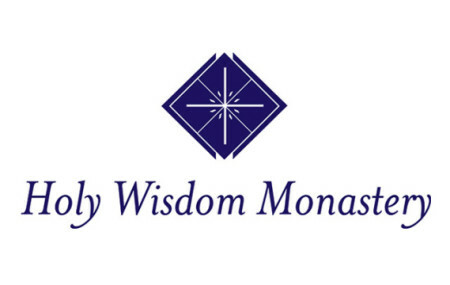 Offering group and personal retreats and meeting space in our awarded eco-friendly building overlooking Lake Mendota, one of the greenest buildings in the US! Also offering 130 acres of restored prairie to walk, a glacial lake, apple orchards and more. Discover Madison&apos;s history and culture by bicycle! Our tours take you on Madison&apos;s renowned bike paths and quiet streets to explore historic sites, vibrant neighborhoods, and beautiful lakeside parks. Beautiful country estate located on 20 acres of gardens, orchards, pastures, and nature paths just 7.5 miles from the Capitol and UW campus. Our suites offer jetted tubs and fireplaces and a 3 course farm to table signature gourmet breakfast is always included! For five years, Metcalfe’s Market—Hilldale has been giving grocery shoppers an immersive experience with a focus on locally grown and produced items, from produce and cheese to beer and spirits. They’re also the brand behind BratFest, which has served more than 3 million brats and raises funds for approximately 100 charities annually via its Memorial Day Weekend music and food festival since 1983. Congrats!